As mothers and teachers we want our children to be happy and achieve the best they can naturally. What does natural homeopathic treatment and nutrition offer to help our child be their happiest best? 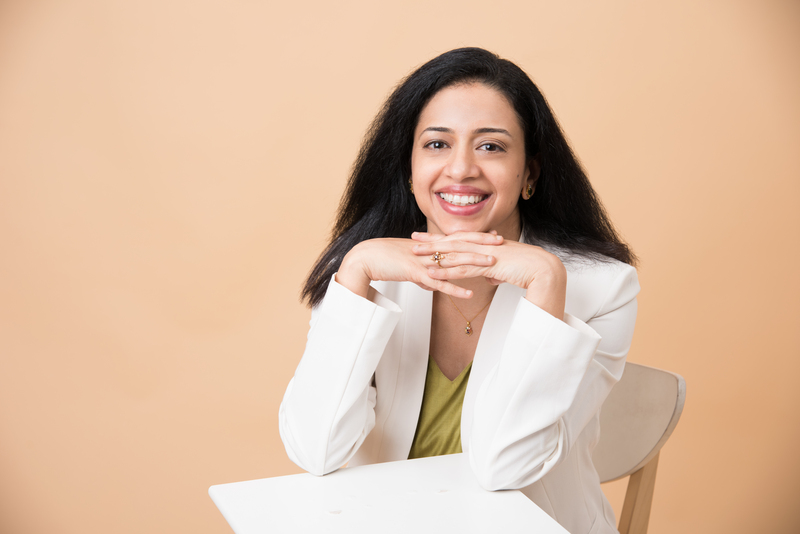 Renowned Hong Kong based homeopath and mum, expert Dr. Sonal Hattangdi-Haridas answers questions by two mamas who have concerns regarding their child’s attention and chemical intervention and offers natural remedies and solutions. Q: I’ve noticed that it’s hard for my 4.5 year old son to keep his attention span for longer than a few minutes at a time, what can I do to help him? A: 4.5 yrs is quite young for long-term sustained attention. In the interest of school readiness, it’s worth taking a few simple measures to help settle him for small periods of time. Expending energy in the park daily before the pre-school day begins and another park venture in the evenings, while ensuring a good appetite and deep sleep, is beneficial. Homeopathic remedies Calc Phos 30 and Kali Phos 6x support healthy growth and nerve development. Simple foods and limiting processed ones (ready to eat food and snacks out of packets) makes a big difference. Each meal must be a healthy combination of complex carbohydrates (whole grains rather than refined flour), healthy fats (avocados, eggs) and protein (chicken, beans, legumes). Vegetables and fruit are not optional. Recent research has shown the pigments in fruit and veg have protective, anti-inflammatory and enriching properties. Eating together as a family works better and children quickly habituate to nutritious family meals. The majority of children typically react to the added sugar in their drinks and snacks. Commercial chocolate milk or added nutritional supplements may have more than 2 teaspoons of sugar in a cup. High sugar content is common in a many gluten-free, dairy–free and marketed organic processed foods. Mamas, I implore you, please read the nutrition labels at the back and choose wisely. Ensure adequate Omega-3 intake. Oily fish such as salmon and tuna in the child’s diet and Vegan Omega-3 supplementation in vegetarians and children sensitive to fish improves attention, reduces allergies and improves immunity. Distractibility and hyperactivity in a preschooler could also be a sign of sensory processing issues. A situation where the fast maturing nervous system is overwhelmed by the amount of data received in from the eyes, nose, ears, mouth, balancing system and touch. Skewed data processing leads to walking on toes (beyond age 2), high pain threshold (they can bounce of walls happily), temper tantrums and impulsivity. It also prevents them from learning from their environment. Sensory Processing Disorder (SPD) can be mistaken for autism as symptoms are similar. Holistically speaking, much can be done. Homeopathically remedies such as hypericum help calm the nerves naturally. In my experience, SPD largely coincides with allergies. Clinically SPD kids commonly have skin rashes, allergies and food intolerances. Treating these with homeopathy and nutrition improves sensory discomforts efficiently and for the long term. As the dry skin and respiratory allergies improve so does the child’s focus and temperament. Q: My 8 yr. old daughter has been diagnosed with ADHD, I don’t want to put her on medication. What can I do naturally? A: The mind and body are connected. Sounds simple, yet often ignored in this day of specialists. ADHD is a behavioural diagnosis that means there is no blood test that can confirm diagnosis. Hence the experience of the clinician and time spent in understanding the child and situation is vital to accurate diagnosis. Children, like adults can have “off” days when they are just not themselves. Be wary of 15 min consultations that lead to a prescription. Medication is not a cure-all and has documented side-effects. However, it is urgently needed if impulsivity is high and life-threatening. If your child has allergies, skin issues, disturbed sleep or snores, it is best to holistically heal these discomforts first. An itchy, sniffling, sleepy child will find it difficult to focus. Underlying learning disorders such as dyslexia, SPD and consequent inability to cope may exhibit as attention issues. Randomised clinical trials with homeopathy in children diagnosed with ADHD have shown positive results. Homeopathic prescription is based on the individuality of each case. In diagnosed learning disorders, I tend to focus on the anxiety, stress and frustration relief with homeopathy. Research done at Oxford has confirmed that children diagnosed with ADHD tend to have low Omega-3 levels. Supplementing with adequate EPA+DHA supplements has documented improvements in attention, sitting tolerance and reading skills. Choosing the right fish oil or vegan alternatives is best done by experienced practitioners. Cod liver oil is high in Vitamin A and is not appropriate as an Omega-3 supplement in this situation.